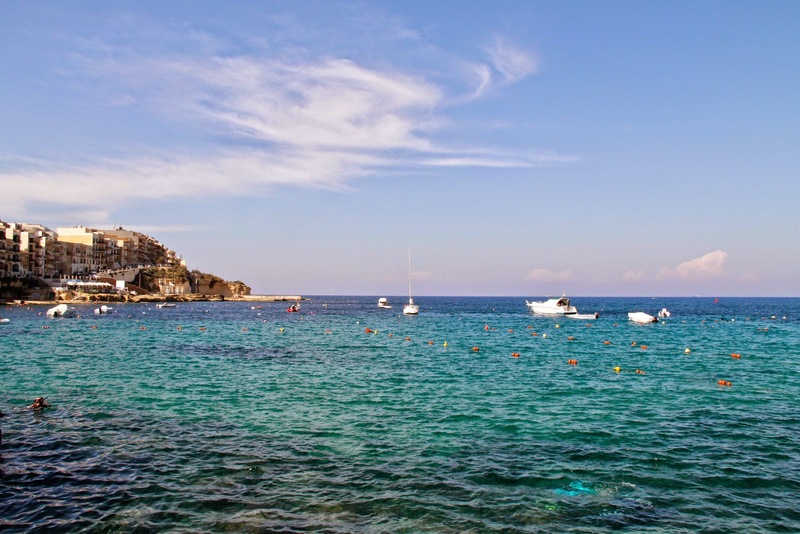 Last week I shared with you pictures and details of our trip to Malta. 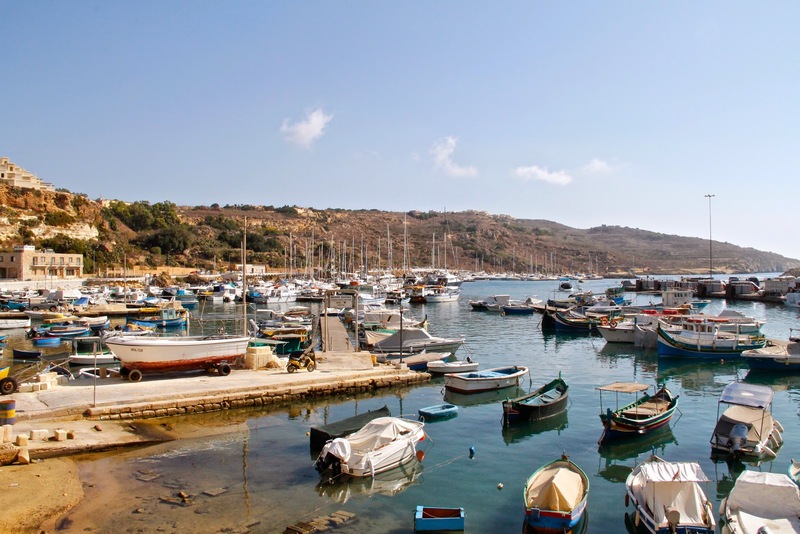 Although Malta is the most visited island of the archipelago, I would say that a trip to Gozo is a must. 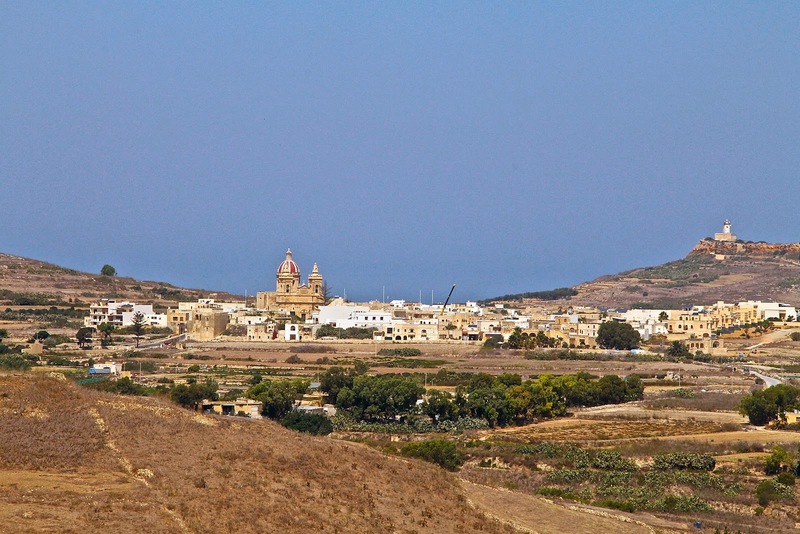 Smaller, less developed, maybe greener, everything in Gozo is more relaxed, slower paced. 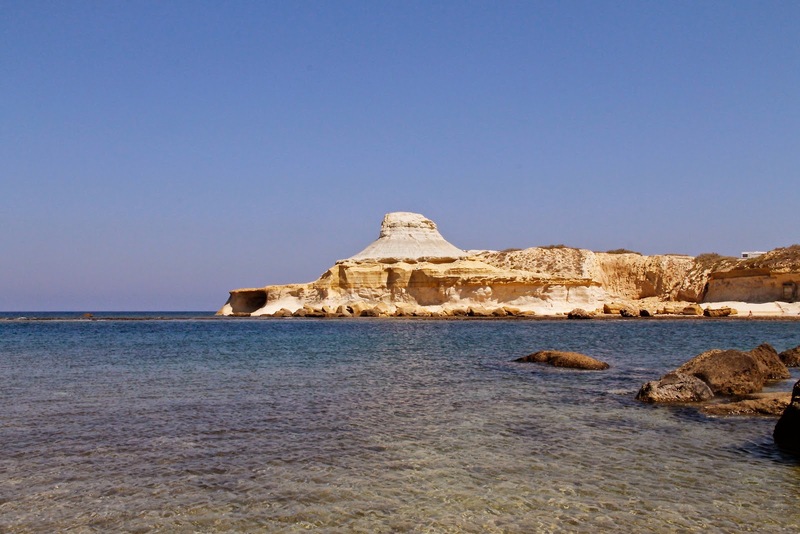 It is as if the island of Malta was the mainland and Gozo the quaint island. I loved it. Doesn't hurt that we stayed in the most gorgeous hotel too. 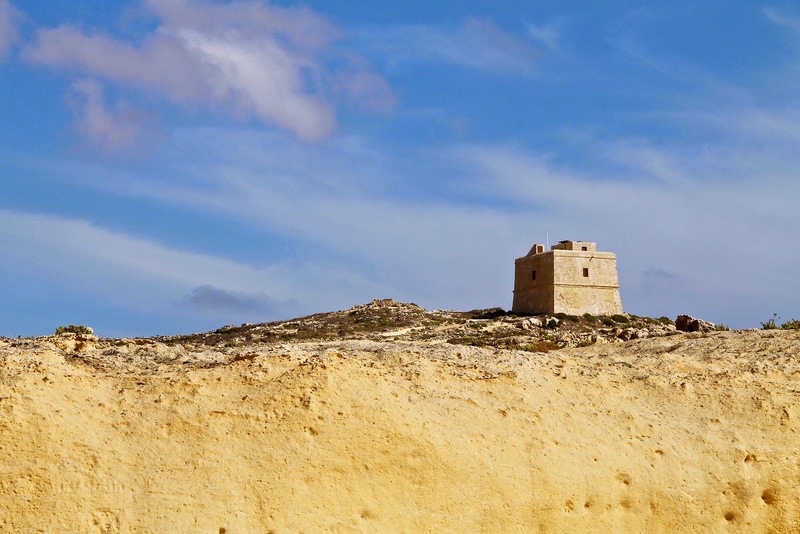 We spent 2 days exploring Gozo, and I wished it would have been longer. 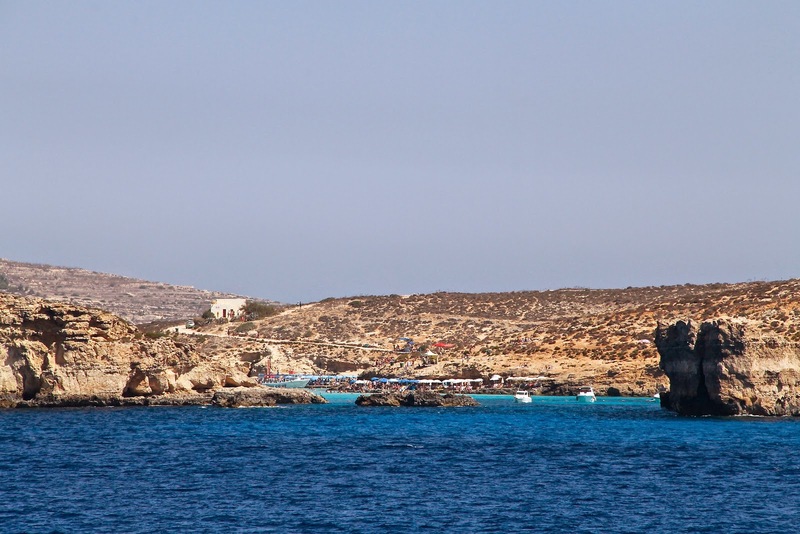 Unfortunately, we did not have enough time to see Comino, the third inhabited island, other than for a quick look from the ferry, and so we missed out on the Blue Lagoon, a popular diving and snorkelling spot, invaded by hordes of tourists every summer. 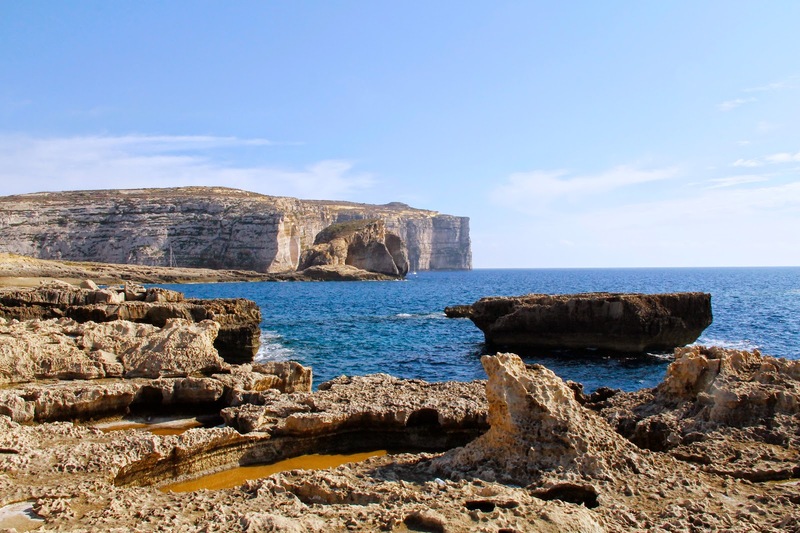 We stayed in the village of Saint Lawrence, which worked out beautifully for us as a starting point to explore, and we loved the proximity to some of our favourite sights on the island, Dwejra Bay and the Azure Window. But honestly, the island is so small (about the same size as Manhattan), that where you stay doesn't matter that much. 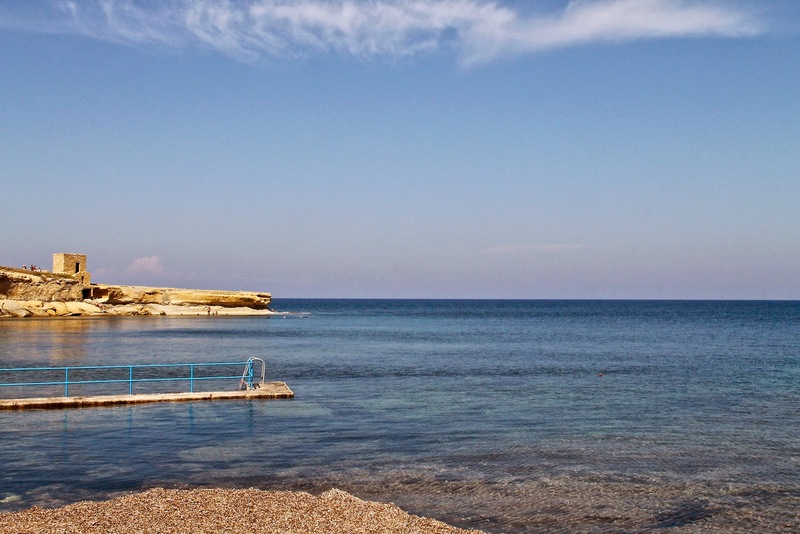 The bay of Dwejra is a popular site for locals, tourists, divers and filmmakers. 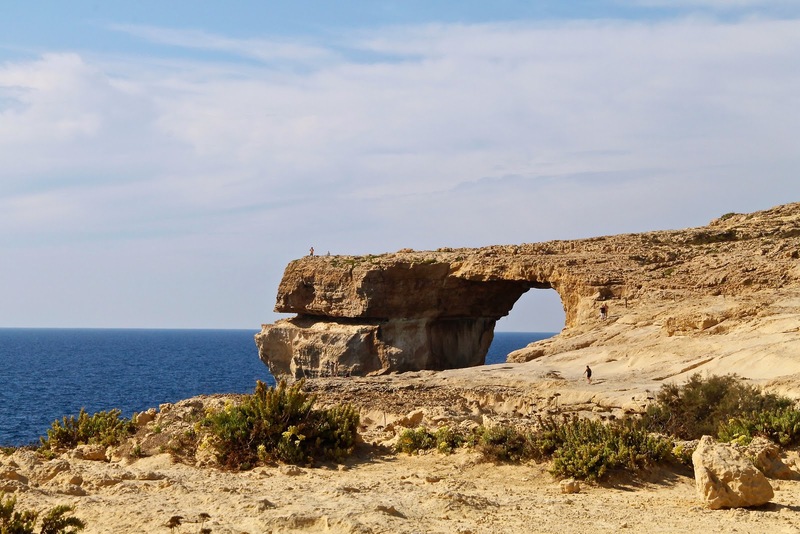 The Azure Window and the Fungus Rock (yep, it's the name of a small islet) are one of Gozo's main attractions, and we were not disappointed. 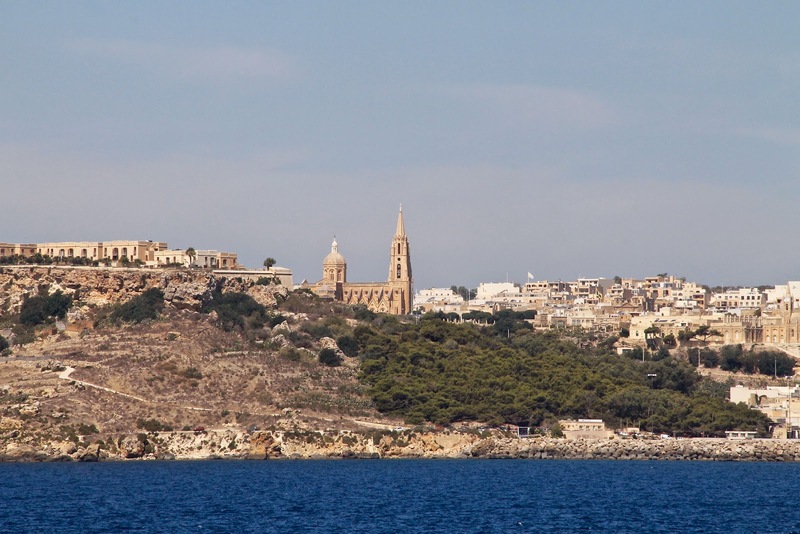 Victoria is the capital of Gozo, and home of The Citadel, a popular historic fortified city, sometimes also referred to as a castle. Unfortunately, at the time of our visit, it was under major reconstruction, loosing a bit of its charm. Perched on top of a hill, it does offer beautiful views of the surroundings. My mom, who makes a lot of lace, found her favourite shop of all Malta there. 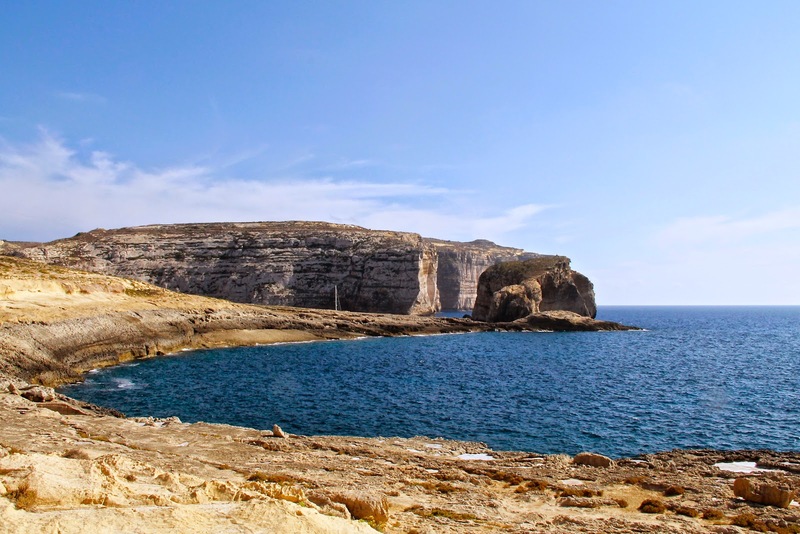 I was perfectly aware that reading in a magazine about "the best secret beaches" on Gozo meant that it wasn't a secluded spot anymore, and that although the author confidently described the odds of being alone there as great, they weren't. Despite this, I insisted on going, in complete denial, and set really high expectations. I rushed my parents through a quick lunch, ran for the bus, forgetting to bring water. 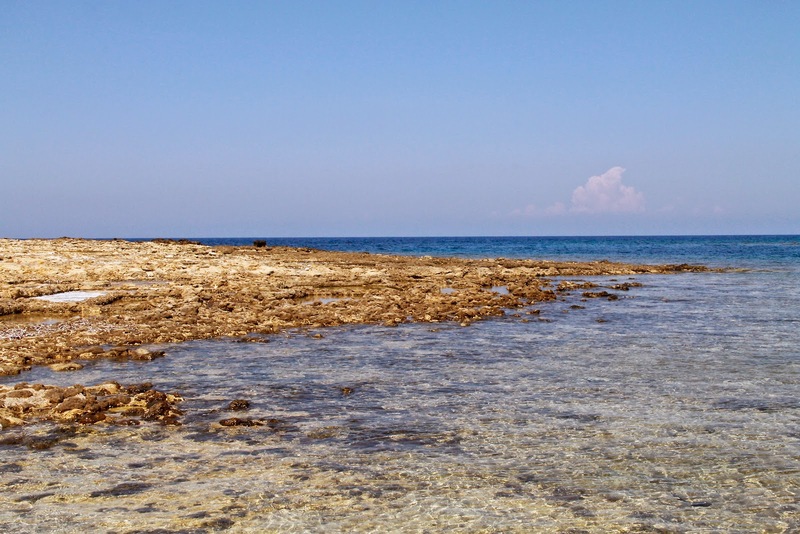 According to Google maps, the walk from the small town of Zebbug down to the canyon was going to take about 15 minutes, and then we would keep walking along the coast for about half an hour, to Marsalforn Bay. Ya, this did not work out as planned. It took quite a while longer to get down to the Gashri canyon, which was full of people sunbathing, swimming and snorkelling. There even was a big tourist boat. Fail. By the time we got there, we were starting to suffer from the heat and sun, the lack of shade and water. See, despite all the people there, there was nowhere to buy water. Major fail. 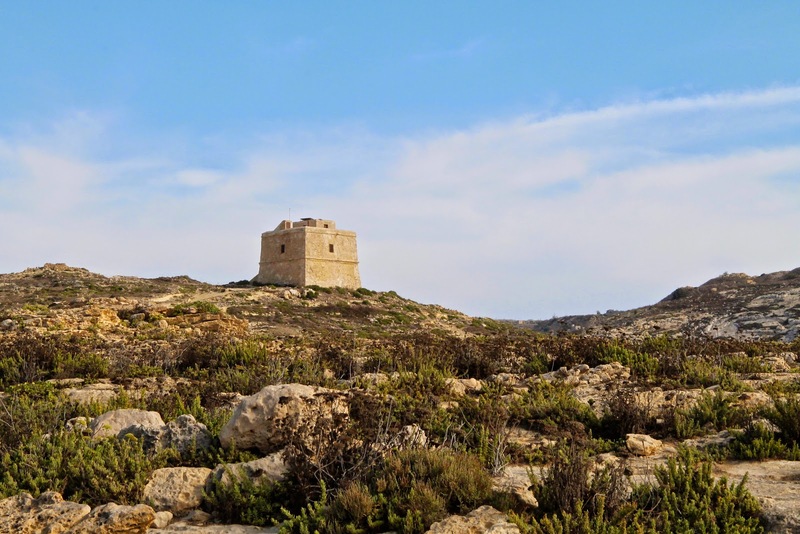 My parents made it clear that they were not walking back up the steep hill to Zebbug, so we started our trek along the coast. The walk along the coast was both awesome and terrible. I got pretty worried that I would be responsible for my parents dying of dehydration and heat stroke. They kept trying to hug the cliff walls to get a few minutes to cool in the narrow shade, and we were all sweating profusely. I was having vivid daydreams of lemonade, and was feeling pretty close to hallucinating little stands by the road. 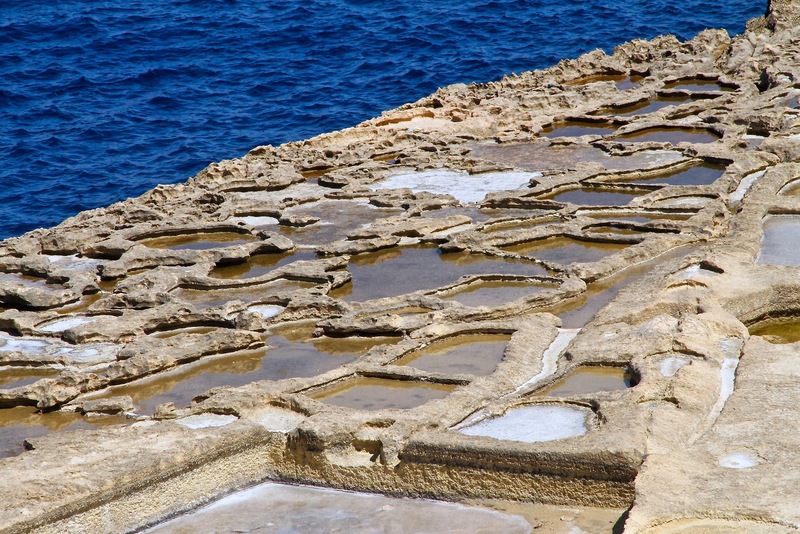 The amazing part was that we saw my most favourite sight of our entire trip, the salt pans, which are believed to have been there since Roman times. 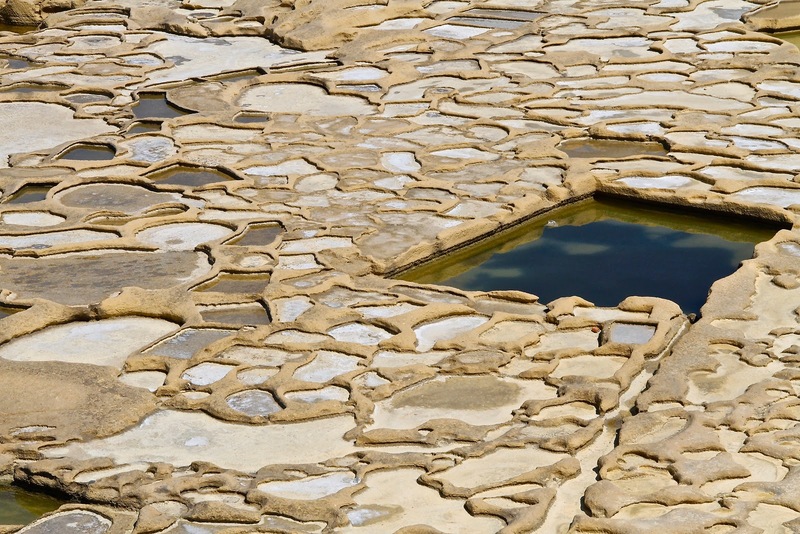 The water was a deep blue, the salt pans were beautifully shaped in the rocks, and there was no one else around. It was gorgeous, and I did stop to take many pictures, despite my mission to get to drinking water as soon as possible. Nestled in the rocks, up a flight of stairs, I found a tiny little salt shop, and the owners, probably thinking that I was going to pass out in front of them, offered me some of their water, which I shared with my parents. This got us a bit further, where we found a restaurant by the beach, and ordered some drinks, while watching locals swim laps in the ocean. 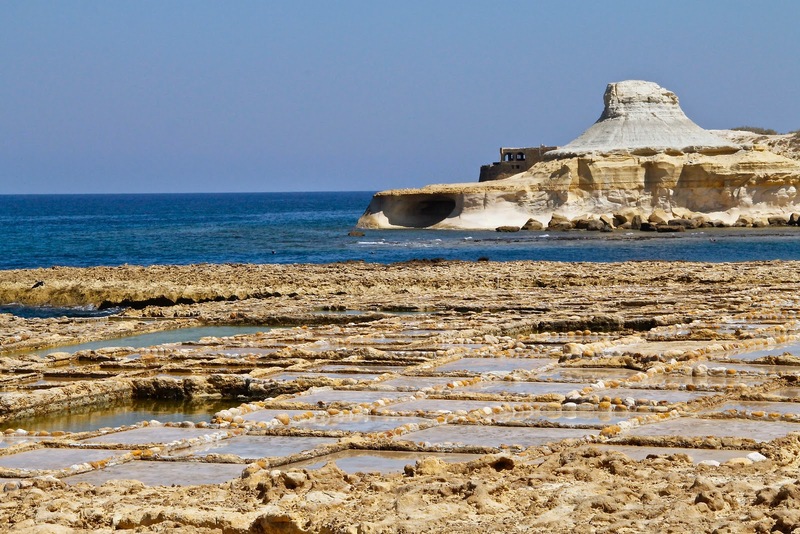 Just a bit further, we got to Marsalforn Bay, which was super touristy and crowded, and lacked a bit of the charm of our salt pans, but had the advantage of multiple shops and plenty of refreshment, including ice cream. We also caught a bus back to the hotel, and everyone survived this adventure without any sequela. 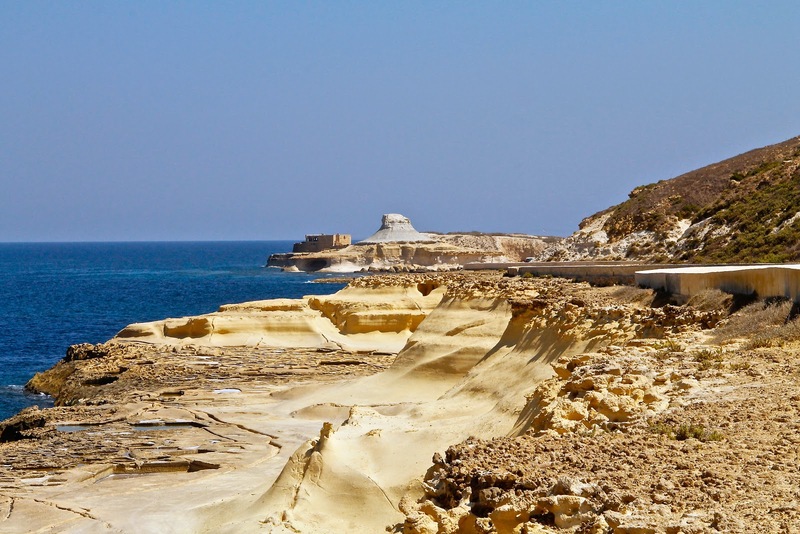 The ferry from Malta to Gozo is just under a half hour, and runs very frequently. 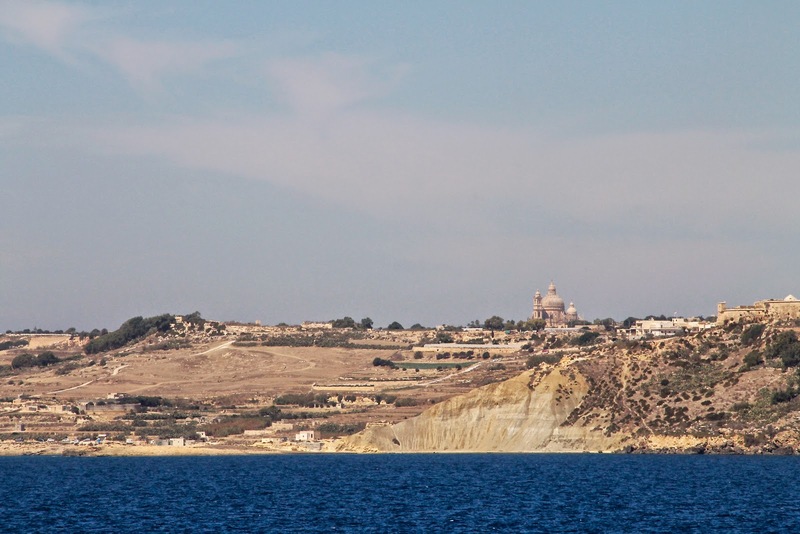 The views from the ferry, both of Comino and Gozo, were lovely. 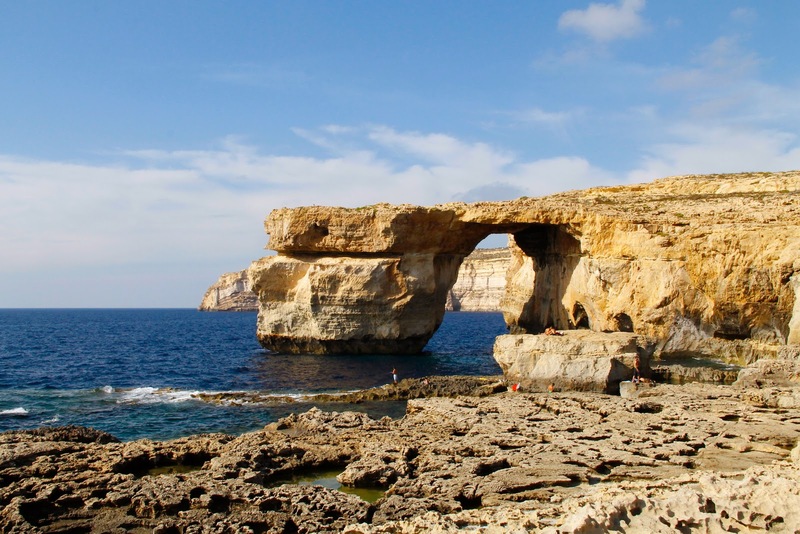 The same bus system that runs on Malta is present on Gozo, although the multi-day pass from Malta cannot be used on Gozo. 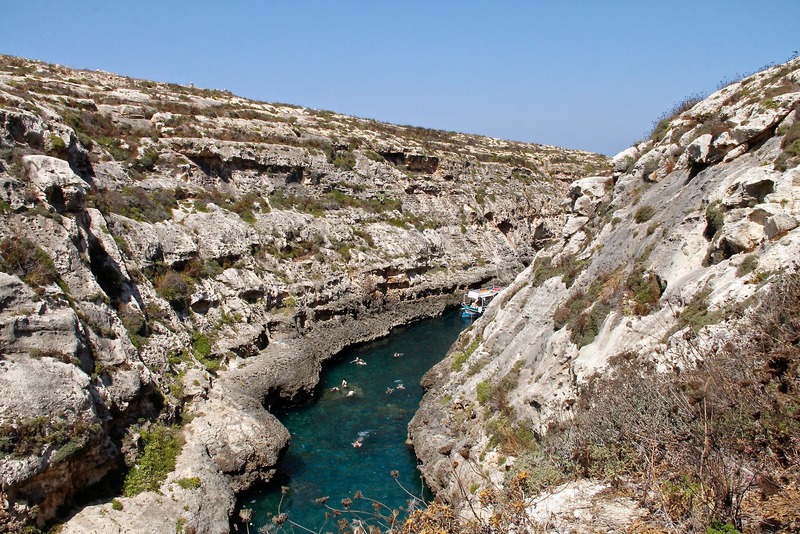 Again, it is an efficient and convenient way to explore the island, unless you decide to go off the beaten path and explore random canyons, as mentioned above. 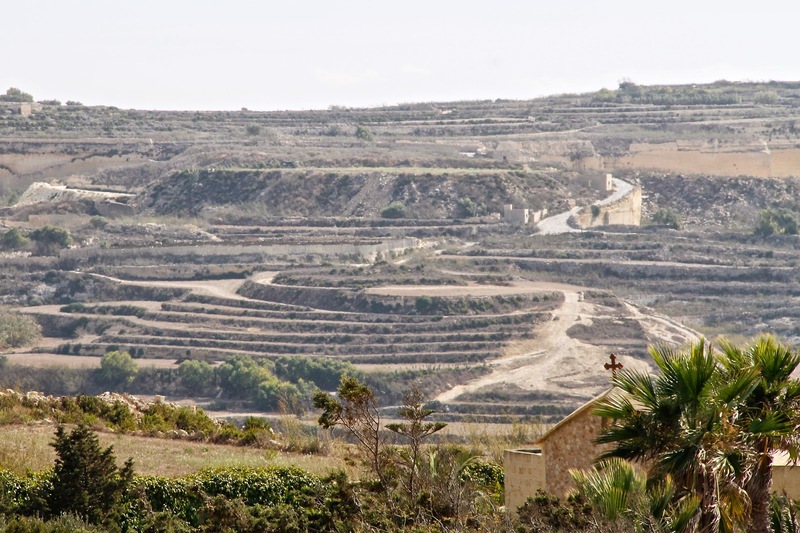 Food in Gozo was very similar to Malta, and we were again able to sample some delicious local wines. I wish I could eat pasta and drink wine everyday! I totally save the best for last. 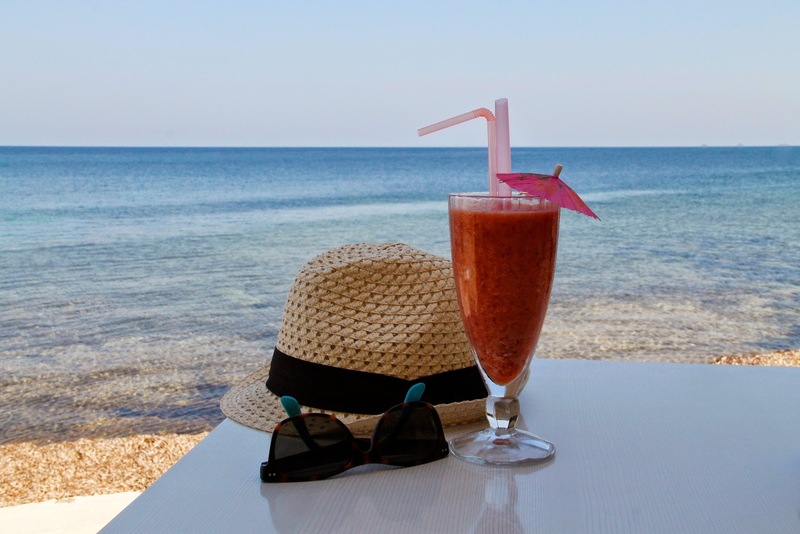 This hotel was the kind that you want to move into, and I was quickly researching their other locations, you know, because I couldn't get enough. It was beautiful, peaceful, comfortable, and I was tempted to just stay on the property the entire time. They had a garden, 3 pools, 3 restaurants, a spa, a gym, and the most helpful staff. When I booked the room they had a promo going on and for barely more than the price of the room, I got two spa treatments. Within 30 minutes of booking the room, I got an email thanking me for my interest in the spa and suggesting treatment times on the day of my arrival for maximal benefits. Everything was flawless, and I still dream of living at the Kempinski Hotel St Lawrenz. They did not bribe me in any way to write this, but if they would like to, retroactively, I would gladly accept.